The Bainbridge Island Police Department is celebrating Welcome to the Water on National Marina Day on Saturday, June 14 from 11 am to 4 pm. The event is free and will include fun activities for water and boating enthusiasts of all ages. 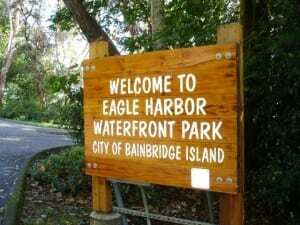 In this podcast, BCB’s Barry Peters interviews Tami Allen of the Bainbridge Island Police Department about the Marina Day and Boater’s Fair celebrations on June 14. Tami is the City’s Harbormaster. 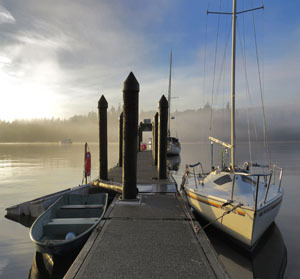 National Marina Day is presented on Bainbridge in cooperation with the Association of Marina Industries, and Discover Boating. 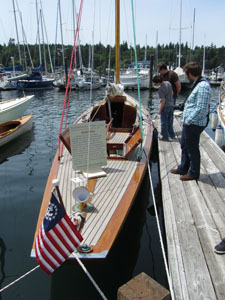 For more information visit www.nationalmarinaday.org, or call Tami Allen, Harbormaster at 206.780.3733. Credits: BCB Host and Audio Editor: Barry Peters. Ferry/music intro: Dogfish Bay Studios. Music splash: Dave Bristow.